Firefighters were called to building fire on Station Road, Bamber Bridge after the caller reported the roof of the building was on fire. There are currently six fire crews in attendance, including Preston, Fulwood, Bamber Bridge, Leyland and Penwortham, including an Aerial Ladder Platform from Hyndburn. The building is a commercial premise where the fire had spread to the thatched roof of the property. Firefighters set about creating a fire break to prevent further fire spread and are tackling the fire using an Aerial Ladder Platform, three hose reels, one main jet, one fog spike, two triple extension ladders, two roof ladders and two thermal imaging cameras. The Police are in attendance for traffic control in the area and members of the public are being advised to avoid the area if possible. This incident is still ongoing. 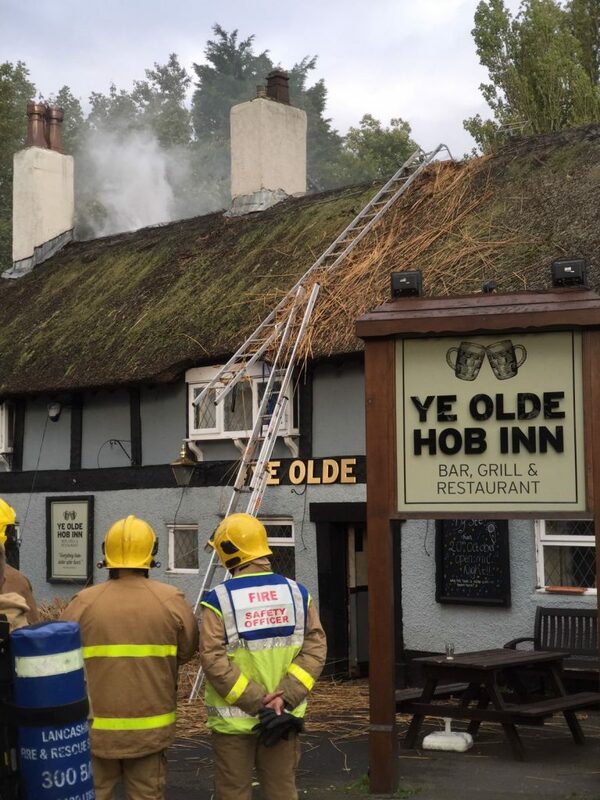 UPDATE: 17:55hrs – Fire crews were able to prevent fire spread through the roof by using fog spikes. They are now working on removing the areas of thatch that were affected by the fire to ensure the fire is fully extinguished. UPDATE: 18:20hrs – Firefighters have now extinguished the fire and are currently in the process of making up equipment.